Ring in the new year with these delicious finger food recipes that will make your culinary skills the talk of the party. As 2018 comes to a close, it’s time to start planning a New Year’s Eve Party that will help you welcome 2019 in style. The champagne will be flowing so it’s important to have food that your guests can snack on throughout the night. But the end of year bash doesn’t have to be a sit-down affair and there is no use bogging yourself down with a complicated menu when there are plenty of simple and delicious mini-bite options for you to choose from. Here’s a list of tasty New Year’s Eve finger food ideas that will make entertaining a breeze, so you can get out of the kitchen and onto the dance floor. Is your resolution to get more adventurous in the kitchen? Well how about you kick it off early with these delicious Chinese Steamed Buns with Moreton Bay Bugs? The Asian treats can be topped with a spicy chilli mayonnaise that will give them a spicy kick your guests will be raving about well into the new year. Click here for the NEFF recipe. Become the talk of the party with these feisty chilli Thai chicken cakes. Made with mince, chilli and ginger, they’re a healthier option for people attempting to detox after the Christmas break. Click here for the NEFF recipe. A crowd favourite, you can’t go past pulled pork sliders when planning a New Year’s Eve extravaganza. 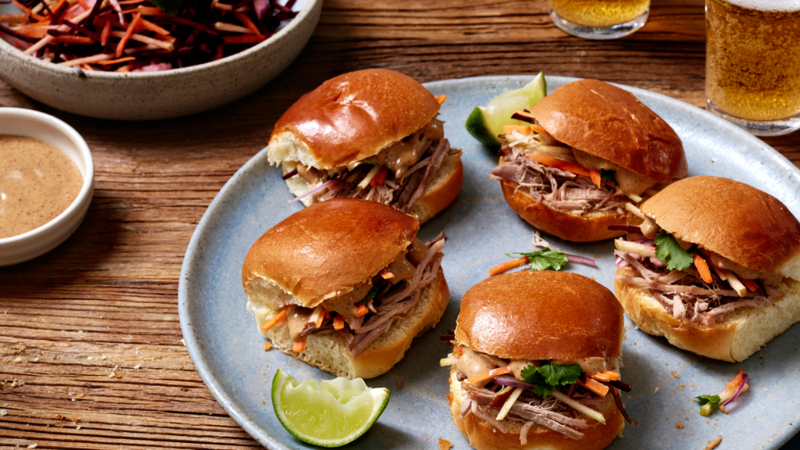 Spiced with coffee, these pork sliders are guaranteed to appeal and wake up the party. The pork shoulder is slow cooked with VarioSteam until it is deliciously tender and easy to pull apart. Then it’s topped with slaw and served in a slider bun, perfect for eating on the go. Click here for the NEFF recipe. If you’re looking for something a little more elegant, grilled scallops are the ultimate dish to make on a special occasion, especially if you’re stretched for time. They look and taste amazing, while only taking a few minutes to prepare. Click here for the NEFF recipe. If you’ve invited children to your New Year’s Eve party, kid friendly options are a must. 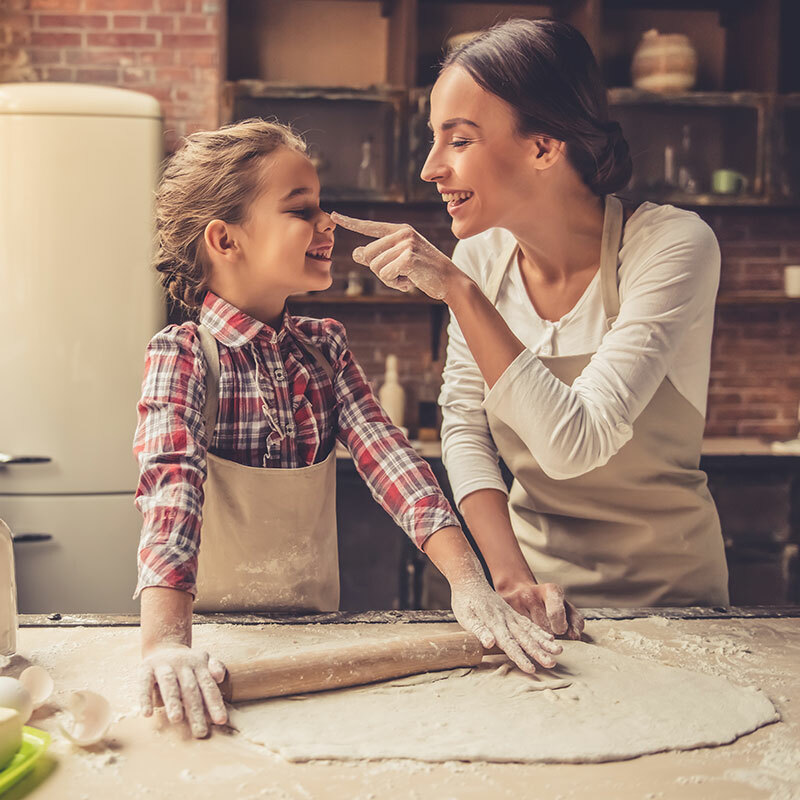 But that doesn’t mean you have to go to the freezer aisle at your local supermarket because making tasty gourmet sausage rolls is easy. With just three ingredients and 10 minutes of prep time, this recipe is every entertainer’s dream. Click here for the NEFF recipe. The best thing about this recipe is that you can prepare the individual pieces in advance and put them together at the party, making it perfect for your celebrations. With a dash of icing sugar and some fresh berries on top, these currant meringue tarlette’s will be the subject of every guest’s photographs. Click here for the NEFF recipe. Bring a little bit of France to your New Year’s Eve celebration with these French delicacies. The chocolate and chilli is a surprising combination that gives these sweet treats a mildly spicy kick. Click here for the NEFF recipe.